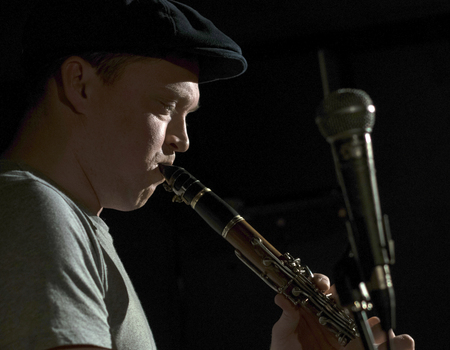 Clarinettist Adrian Cox started playing aged 6 and turned professional at the age of 15. He has toured Europe extensively over the past 19 years and is "London's most charismatic reedsman" according to Time Out London. Over his career he has performed with artists including Wynton Marsalis, Ronnie Wood and Guy Barker and at countless sell-out shows including Ronnie Scott's, The Barbican and The Lincoln Center. Cox is influenced by the great New Orleans clarinettists such as George Lewis and is also a member of UK jazz acts Kansas Smitty's House band.